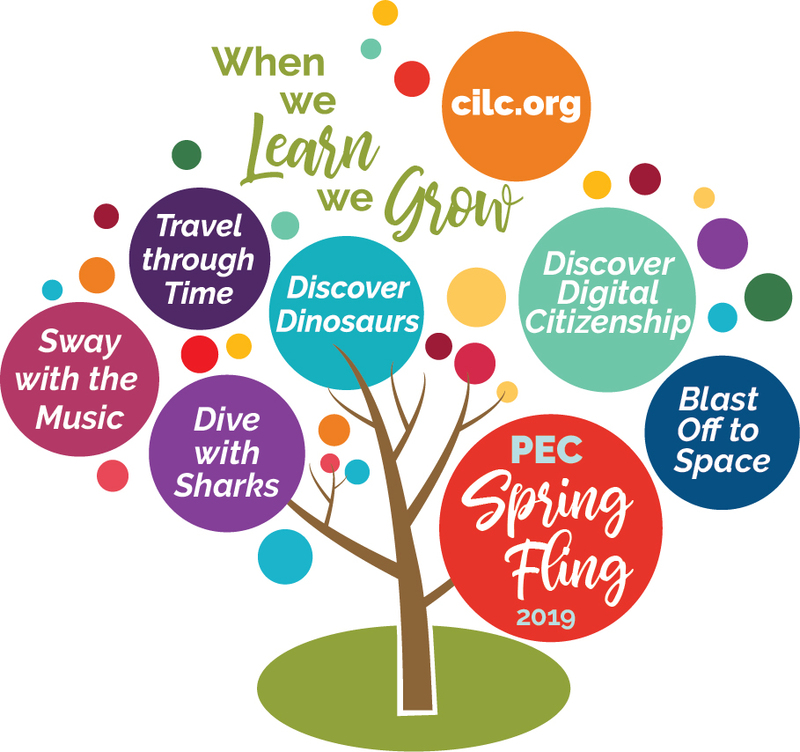 Join the CILC Pinnacle Education Collaborative (PEC) for a day of exciting educational programming. All programs are FREE! Every hour from 9:00am EST to 4:00pm EST CILC Content Providers will be providing 30 minutes of programming followed by 15 minutes of Q & A time from the audience. Look below and register for either one track or all. You can join us for one event or all events and drop in and out throughout the day. Description: This lesson is focused on shark research at Mote Marine Laboratory. We begin with an overview of shark husbandry and training at our aquarium and the research technology we use. We end with a Question and Answer session with our Ocean Expert. Description: Students will join Roper Mountain Space Agency’s Junior Astronaut Team where they will learn more about our Sun, the Star of our Solar System, and how technology enhances our knowledge about the Earth and the galaxy. Description: Join COSI as we explore the possibility of humans on Mars, learn about the difficulties we will face and the Rovers currently exploring the surface. Description: Your students will strengthen their research skills as they learn about the differences between primary and sources and how to distinguish between them. We’ll also examine a variety of artifacts, archival materials, and historical sites and have your students determine whether or not these items are primary or secondary sources. Description: Discover the unique methods by which these amazing organisms capture food to continue their survival. Description: Learn the story of how and why Balto became famous, and why he is on display in Cleveland, Ohio! Description: This program examines the relationship of science and the game of professional football. Straight line movement, zig-zags, circular motion, back & forth, pushing & pulling - all movements that influence the sport. This 50-minute program, which is designed to be highly interactive, is supplemented by a lesson aligned with Common Core/National Standards of Education. Description: During this program students will consider the choices early colonists made when deciding what supplies to bring to the New World, taking into account factors such as necessities for survival and resources available in America. Students will examine artifacts with their classmates and debate about which objects they want to bring to the New World. Description: Your class is closer to Saturn than you think! Break out your art supplies and merge space science and scientific illustration in Art Station: Titan. Capture your own investigations of Titan, Saturn's largest moon, just as other great scientists have done through history. Supplies Required: 1 piece of paper (orange preferred) and 1 dark pencil (black suggested) and 1 light colored pencil (white suggested) per participant. Program Name: Up Close and Palaeo Jr. Description: Our Q&A program! A Science Educator will first introduce the science of palaeontology, fossils, and the Royal Tyrrell Museum. The last half of the program will be driven by questions! Formulate questions directly related to your curriculum, or watch as your students are inspired by each other’s curiosity. Animations, images, video clips, and real fossils will complement our responses. Description: In this 45-minute program, students will build skills for spotting birds. Through observation, students will identify unique bird adaptations and feeding strategies in a variety of habitats. They will also take a close look at some of the Academy’s bird collections. Description: Travel to the Far East for an exciting exploration of Chinese music traditions. Teaching artist Jing Yang reveals the secrets behind Beijing Opera and the Lion Dance with live music, engaging videos, interactive movement and more. Students will learn Chinese words and characters. A perfect program for classes looking for an enriching cultural journey. Description: This program will take you on a virtual tour on the public side of the Greenville Zoo from the comfort of your own classroom! We will try to see vultures, lions, tortoises, and giraffes! Description: Find out how solids, liquids and gases change when rapidly heated and cooled. Shrink a balloon instantly! What happens to living things if they are frozen? How can Newton's 3rd Law of Motion explain a liquid nitrogen sprinkler? Pop can lids and expand balloons... + many others as you learn about pressure, forces and changes in states of matter. Description: The study of Pocahontas is an excellent exercise testing the strength of primary versus secondary sources. Factually we know very little about Pocahontas. These facts are often interwoven with myth and legend surrounding her life. Depictions of Pocahontas throughout time can reveal as much about the time they were created as they do about the Indian "princess". Description: Swimming in schools or swimming alone, many types of fishes are found in the Caribbean Sea habitat at the Texas State Aquarium. Use your STEM process skills of observation, data collection, and communication to study one group of fish and teach others about it. Description: Ever wondered how cold-blooded critters survive the wintery wilderness? Curious about other ways animals hibernate? Meet three live animals that have developed out-of-this-world adaptations to survive when the temperature drops. Learn how these amazing techniques compare to how humans get ready for cold temperatures, and explore how cold-blooded creatures take forms of hibernation to the extreme! Description: Investigate how temperature relates to the movement of atoms and molecules in this exciting presentation. Utilizing liquid nitrogen (LN2) we’ll see some ‘cool’ effects on solids, liquids and gases! Description: Covers aspects of digital citizenship (responsible technology use) with the goal of improving their overall presence online. Activities include how to create an effective password and use devices, and social media in a positive way. Cyberbullying and ways to recognize, prevent, and stop it are discussed. Description: Spiders and insects are found all over the world; how is that possible? We’ll explore the similarities and differences between these two groups of animals while observing some live specimens, including a tarantula and a hissing cockroach, and their adaptations. Content Provider: Sea Turtle, Inc. Description: Dive underwater and learn the danger of marine debris to our ocean community and the importance of picking up trash to help keep our oceans clean. Program includes live visits from some of our sea turtle patients affected by marine debris in their ocean environment. Description: Meet the seals, sea lions and sea otters that roam the chilly waters of Alaska! Contact Tami Moehring, CILC Content Provider Liaison, 507-215-3705.